The Redskins declined to tender Harris a contract for 2019 on Wednesday, making him an unrestricted free agent, Mike Garafolo of the NFL Network reports. Analysis: Harris' concussion history may have played a part in Washington's hesitance to re-sign him, but he'll reportedly set to draw interest from "a few" teams on the open market. He snagged 28 of 47 targets for 304 yards and zero touchdowns in 2018, with his best game coming Week 9 against Atlanta. Harris corralled 10 passes for a career-high 124 receiving yards in that contest. Harris (concussion) was placed on injured reserve Friday. 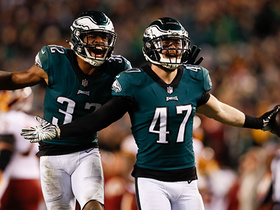 Analysis: Harris could not clear the league-mandated concussion protocol in time for Sunday's season finale against the Eagles, and has been placed on injured reserve to free up a roster spot. Michael Floyd and Jehu Chesson will benefit from an uptick in targets with Harris sidelined, especially if Josh Doctson (illness) is unable to suit up. Harris (concussion) was ruled out for Sunday's game against the Eagles, Kareem Copeland of The Washington Post reports. 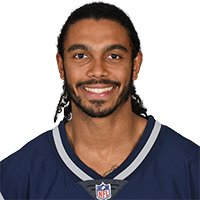 Analysis: Harris was able to progress to a limited practice participant Thursday, but apparently couldn't fully clear the concussion protocol for Sunday's game. With Josh Doctson (illness) listed as questionable, Michael Floyd and Jehu Chesson could be pressed into heavily increased offensive snap counts in Sunday's season finale. 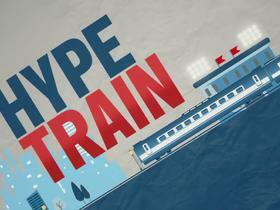 Harris (concussion) was a limited participant in Thursday's practice, Kareem Copeland of The Washington Post reports. Harris (concussion) didn't participate in practice Wednesday, John Keim of ESPN.com reports. Analysis: Harris has yet to reach the stage in the concussion protocol where some on-field reps are acceptable. Until he does, he'll have a difficult time improving his chances of suiting up in Sunday's regular-season finale versus the Eagles. Prior to the start of Wednesday's session, the Redskins' healthiest and most viable wide receivers were Jamison Crowder, Josh Doctson and Michael Floyd. Harris (concussion) has been downgraded from questionable to out for Saturday's game against the Titans. Harris is listed as questionable for Saturday's contest in Tennessee with a concussion. Analysis: Harris was absent from practice Wednesday due to an illness, but upon further examination he's been diagnosed with a concussion. Considering this news emerged only two days before gameday, he seems hard-pressed to get through the protocol for head injuries for Week 16. If he takes a seat, the Redskins will rely on Jamison Crowder, Josh Doctson (lower back) and Michael Floyd at wide receiver. Harris missed Wednesday's practice while recovering from an illness. Analysis: Limited to two receptions the past five games, Harris has essentially been splitting the No. 3 receiver job with the equally unimpressive Michael Floyd. Harris should have enough time to recover before Saturday's game in Tennessee. Harris caught one of two targets for 13 yards in Sunday's 16-13 win over the Jaguars. Analysis: Harris fell off before the Redskins began losing quarterbacks to injuries and has now caught just two passes in his past five games. There isn't anything to hint at a rebound Week 16 in Tennessee. Harris had one target and no receptions in Sunday's 40-16 loss to the Giants. Analysis: Harris made some noise with 15 catches during a two-week stretch in early November, but he's caught just one of 11 targets the past four games. Josh Doctson's concussion might create more opportunity in terms of snaps and targets, but there isn't much reason to expect success with Harris catching passes from Josh Johnson in a Week 15 game at Jacksonville. Harris was unable to reel in his lone target during Monday's 28-13 loss to Philadelphia. Harris was unable to haul in any of his five targets during Thursday's 31-23 loss to Dallas. Harris caught one of four targets for 13 yards in Sunday's 23-21 loss to the Texans. 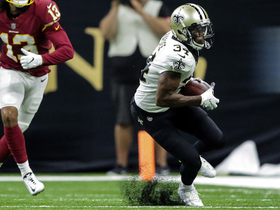 Analysis: After catching 15 passes the previous two weeks while primarily working from the slot, Harris struggled to make an impact Sunday with Trey Quinn (four catches for 49 yards) getting most of the work inside. 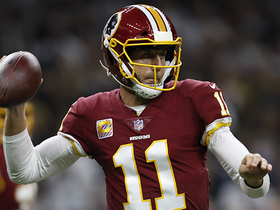 It was a rough day all around for Harris' fantasy prospects, as Alex Smith suffered a season-ending leg injury and was replaced by Colt McCoy. 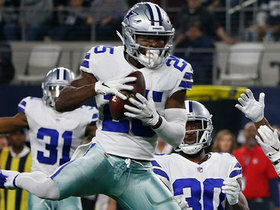 There's little reason to expect more than four or five targets for Harris in a Thanksgiving game against the Cowboys. Harris caught each of his five targets for 52 yards in Sunday's 16-3 win over the Buccaneers. Analysis: While nowhere close to his breakout 10-catch performance the previous week, Harris did finish second to only Jordan Reed in targets on an afternoon when Alex Smith attempt just 27 passes. 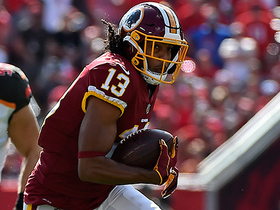 Josh Doctson scored the lone touchdown and led the Washington wideouts with a 78 percent snap share, but Harris wasn't too far behind at 66 percent. Next up is a Week 11 home matchup with a Houston defense ranked sixth in yards allowed per pass attempt (7.1) and 15th in passing yards allowed per game (243). Harris could see an uptick in targets with Jamison Crowder (ankle) ruled out for another week. 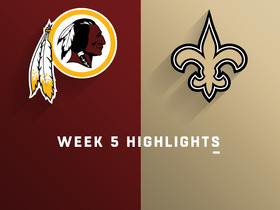 Analysis: Harris exploded for 10 catches and 124 yards on 12 targets in a blowout loss to the Falcons last week, and with the likes of Crowder (ankle), Chris Thompson (ribs) and Paul Richardson (shoulder) already ruled out for Sunday's contest, Harris figures to be one of the few weapons available against a Tampa Bay defense that has allowed at least 125 total yards to the WR position in every game this season. Harris is part of a receiving corps that won't have Paul Richardson (shoulder) available for the rest of the season, Kareem Copeland of The Washington Post reports. Harris caught 10 of 12 passes for 124 yards during Sunday's 38-14 loss to the Falcons. Dallas Cowboys safety Xavier Woods intercepts Washington Redskins quarterback Colt McCoy. 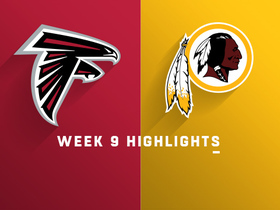 Watch as the Atlanta Falcons take on the Washington Redskins in Week 9. 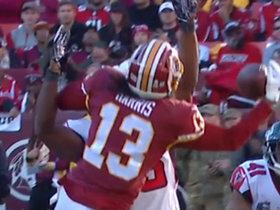 Washington Redskins wide receiver Maurice Harris makes a circus catch in blanket coverage for 33 yards.